When the founders gathered to write the Declaration of Independence and then the Constitution, the Bible and the Mayflower Compact were their template. The judicial system was modeled after Moses and the 10 Commandments. This was made clear when both were carved into the marble of the Supreme Court building. “Neither,” he replied, “but as commander of the army of the Lord I have now come.” Then Joshua fell facedown to the ground in reverence. Joshua’s initial question resembled manifest destiny. For a moment, he thought he was controlling the battle with the angel coming to help him. He forgot he was sent at God’s command. The angel’s answer displays Divine Providence. He was not on Joshua’s side or the enemy’s. He was on God’s side as God was in control. Through Divine Providence, America could be considered earth’s leaven. Her freedom and liberty would quietly but thoroughly spread throughout the globe, not by her force, but by God’s hand. Divine Providence led to the idea of American Exceptionalism. The term was derived from French historian Alexis de Tocqueville, who described America as exceptional in 1831 and 1840. This was not meant as superior, but distinct. America was not a country, but an experiment in liberty and freedom. Her government was one never before seen. Described as a “City on a Hill” by others, America’s uniqueness was expected to spread to other nations not through military dominance, but through example. Others would see it and want to be like her. Two prominent presidents completely turned the nation’s future around at extremely critical points by humbling themselves before God and pleading for his mercy. 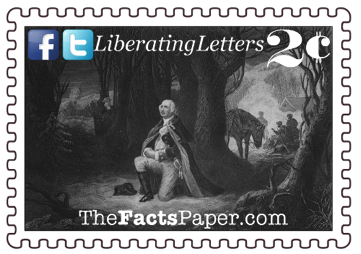 During the Revolutionary War, two eyewitness accounts tell of General George Washington on his hands and knees praying. “It was a most distressing time of ye war, and all were for giving up the Ship but that great and good man. In that woods pointing to a close in view, I heard a plaintive sound as, of a man at prayer. I tied my horse to a sapling & went quietly into the woods & to my astonishment I saw the great George Washington on his knees alone, with his sword on one side and his cocked hat on the other. He was at Prayer to the God of the Armies, beseeching to interpose with his Divine aid, as it was ye Crisis, & the cause of the country, of humanity & of the world. Like most Quakers, Potts was a Tory, or British Loyalist. He did not believe the colonists could win against the professional forces of Great Britain. After hearing Washington’s faithful prayer, he realized the colonists would absolutely win because of Divine Providence. He immediately became a Whig, or Revolutionist. The second observed prayer of Washington was witnessed by Marquis de Lafayette and General Peter Muhlenberg (see Who Among You Is With Me?). According to an article entitled, "The Spur of Monmouth” in The Aldine Press, they came upon the general in a barn on January 17, 1778. Jesus told us, “But when you pray, go into your room, close the door and pray to your Father, who is unseen. Then your Father, who sees what is done in secret, will reward you.” Washington obviously took that direction to heart. As president, in his first inaugural address, Washington was very clear that if America turned away from God, she would not be worthy of His intervention. Upon that he promised America would always follow God. If she didn’t, he warned that God would withdraw His blessings and protection. Washington and Lincoln recognized Divine Providence. They submitted and surrendered their human desires to God’s will. Liberty, Satan cannot stand it when God's people put all their faith and trust in Him. That is why Satan is always working to distort God’s Word just enough that people fall onto the wrong path and away from God’s plan. This is what Satan did with Divine Providence. All he needs is for us to take our focus off of God and put it on ourselves. He accomplished that during Democrat President Andrew Jackson’s administration. I will explore our country's misguided venture with Satan's Manifest Destiny in next week's letter.